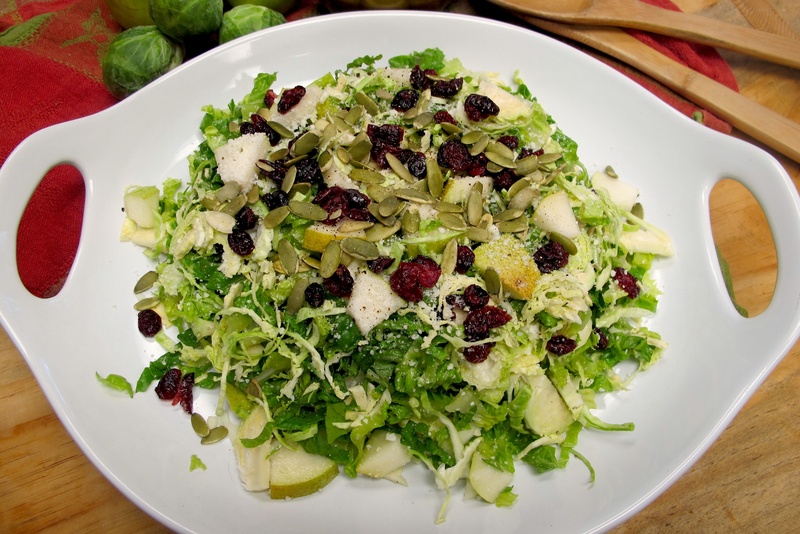 In a large salad bowl, toss all the salad ingredients together. In a small bowl, whisk all the salad dressing ingredients together. Pour dressing onto salad and toss gently. You may garnish with more Parmesan cheese or pumpkin seeds if you would like.